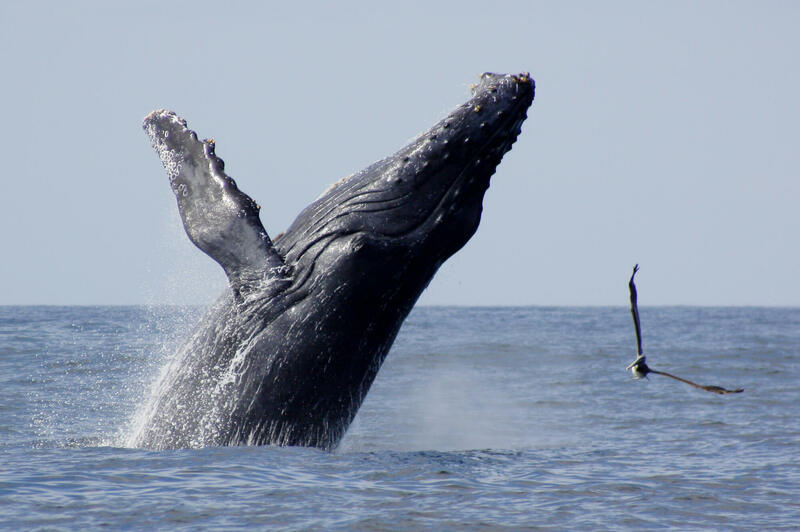 From mid-December through March, the humpback whales migrate to Banderas Bay. Many companies offer whale watching tours, but my favorites are the 1/2 day afternoon tours from Vallarta Adventures & Pegaso Tours. In the afternoon, the weather is usually warm and both of these tours are quite affordable (around $55). Beware that parking at Marina Vallarta is often overcrowded and difficult at the lot once afternoon arrives. You may need to park on a nearby street or lot so make sure you give yourself plenty of time to park and get to the boat for your whale watching adventure. NOTE – if you don’t want to go whale watching on a boat, bring along your binoculars. You can see whales from shore – just look for the boats and plumes of white water that the whales spew from their blow holes to find them.